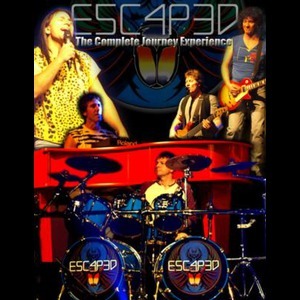 Escaped is the brand new Journey tribute band based out of Phoenix Arizona. This is Arizona's premier Journey tribute. 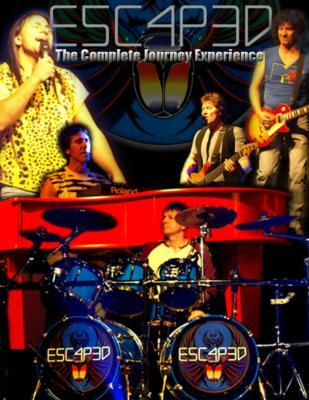 Guaranteed to please, the Escaped tribute will no doubt leave Journey fans feeling as if they had just attended an actual Journey concert from back in the 80's. From the soaring vocals of Steve Perry and the singing guitar work of Neil Schon to Jonathan Cain's classic red grand piano and Steve Smith's massive drum set, this band doesn't miss a thing. The show consists of music from the albums Infinity to Raised on Radio, playing such hits as Don't Stop Believing, Separate Ways, Open Arms, Faithfully, Wheel in the Sky and many more. For the die hard Journey fan this is a must see event. Please note Escaped - The Complete Journey Experience will also travel to Fountain Hill, Apache Junction, Mesa, Tempe, Queen Creek, Chandler Heights, Chandler, Higley, Gilbert, Tortilla Flat, Carefree, Bapchule, Sacaton, Sun Lakes, Fort Mcdowell, Florence, Coolidge, Superior, Phoenix, Paradise Valley, Rio Verde, Casa Grande, Glendale, Peoria, Laveen, Sun City, Cashion, Eloy, Miami, Maricopa.